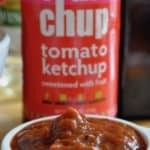 I was recently sent some samples of Fruitchup, a new low carb ketchup sweetened only with fruits, not sugar or corn syrup and this is the way I’ve been enjoying it. Although I was sent samples to try out, I’ve got to disclose this as a sponsored post. 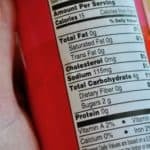 If you’re new to the low carb regimen you may be lamenting the loss of Barbecue Sauce. Even if you’ve been in the game a while I bet you’re missing it as well, but no problem, I’ve got you covered. I’ve come up with a solution for all your Barbecue Sauce needs. 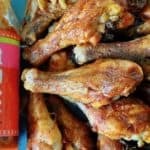 This Low Carb Barbecue Sauce is actually Fruitchup based and because Fruitchup is already sweet with fruits with just a few additions you can make a perfectly tasty, no sugar added, Low Carb Barbecue Sauce. Your summer grilling just got better! One thing I’ve been missing since going low carb is a good barbecue sauce! The commercial varieties are super sugary and completely off limits for me. I also tried a couple of homemade varieties with an artificial sweetener and I just couldn’t find one I liked. I’ll keep trying in that area but until then I’ll be HAPPY to keep enjoying my Low Carb Barbecue Sauce featuring Fruitchup. 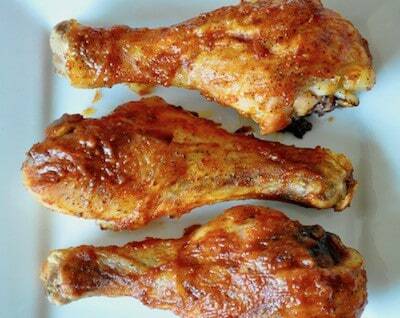 If you're new to the low carb life I bet you're missing Barbecue Sauce this summer. 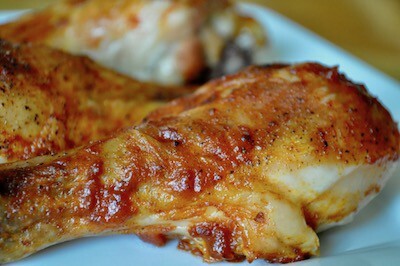 No worries I created a recipe for Low Carb Barbecue Sauce just for you! 1 tsp apple cider vinegar experiment with other vinegars! What a great idea! I see Fruitchup is also gluten free. Thanks for sharing this recipe. Yum! 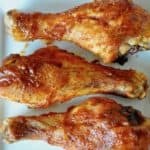 My family loves chicken legs and I love BBQ- I will be on the lookout for the frutchup- trying to lower sugar intake is hard with sauces! I think I better go warm up the grill!!! These look like a great start to summer!